The aluminum roofing sheet is also called the corrugated aluminum plate, pressed aluminum plate, corrugated aluminum sheet or aluminum tile, it is one of the commonly used products in building, currently, it is more and more popular and has a tendency to replace stainless steel and iron plate. Comparing with the common aluminum sheet, the aluminum roofing sheet has many advantages, the first is the density of it is smaller than the iron, so the weigh of it is light than the iron sheet and the stainless steel. Besides, the aluminum sheet has a good anti-rust effect, the exposing to the rain, sun and the snow won’t cause rust to it, unlike the iron, which will get rust if it is in wet environment. 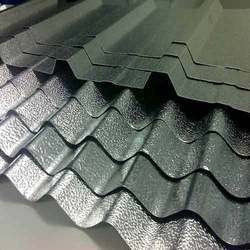 The aluminum roofing sheet has a long durability, if it is properly used, it can last for 25 to 50 years, some even can last for 50 years, some aluminum roofing sheet can be coated with special chemicals, which will stop the growth of the algae and mildew, they are also can resist the rot and rust, and the insects like the termites. The aluminum roofing sheet can replace the stainless steel material, and it is very popular in the construction industry. The Haomei industrial Co., Ltd gained much experiences in this field, the aluminum roofing sheet produced by it has been sold to many countries, if you have any demand for the aluminum roofing sheet, please contact us!